CTS-V A/C compressor swap--aftermarket engine mounts required? 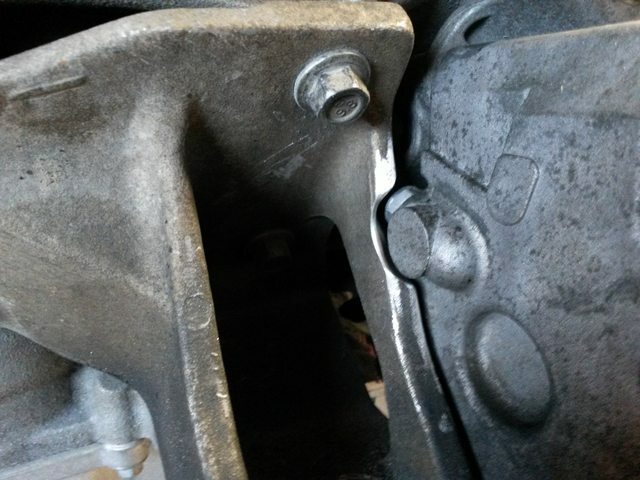 I'm working on swapping to a CTS-V A/C compressor for my twin turbo build, but have found that the V compressor bracket has a major interference problem with the OEM engine mount. It looks like I'd have to remove a big chunk of the lower left compressor bolt mounting boss from the bracket to make it fit. I'd probably only be able to mount the compressor with 3 bolts if I did that. I've seen that JDS99 and jimbos'ss on this forum have both done CTS-V A/C compressor swaps on their twin turbo cars. Were both of you guys running aftermarket mounts? It looks like a smaller diameter mount, like Hinson's, would solve the problem. 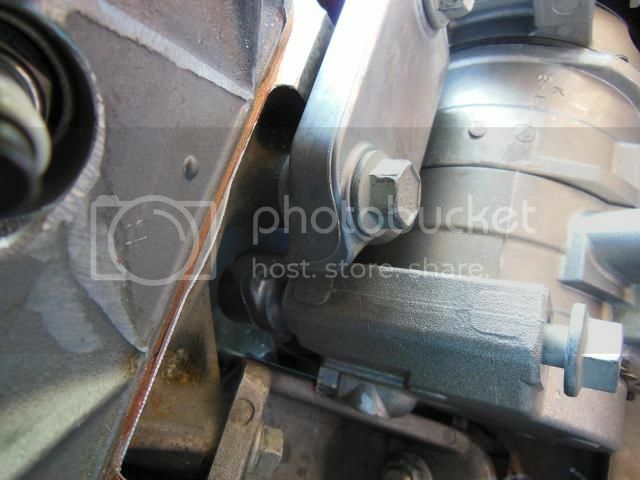 There is a drain on the back side of the compressor at about the 11 o'clock position that contacts the motor mount. 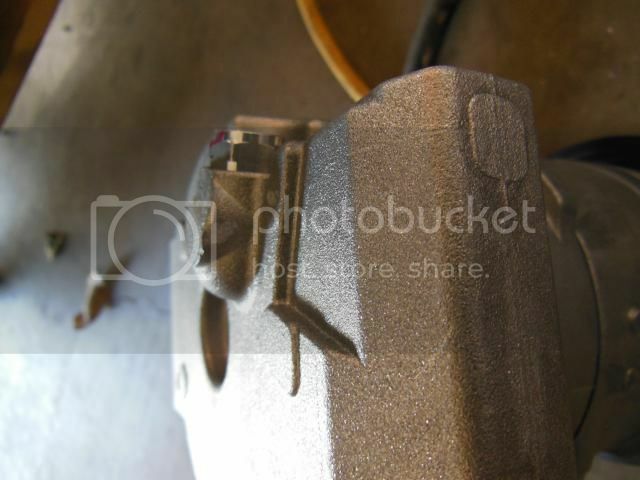 This shows the area that needed to be removed on the motor mount. 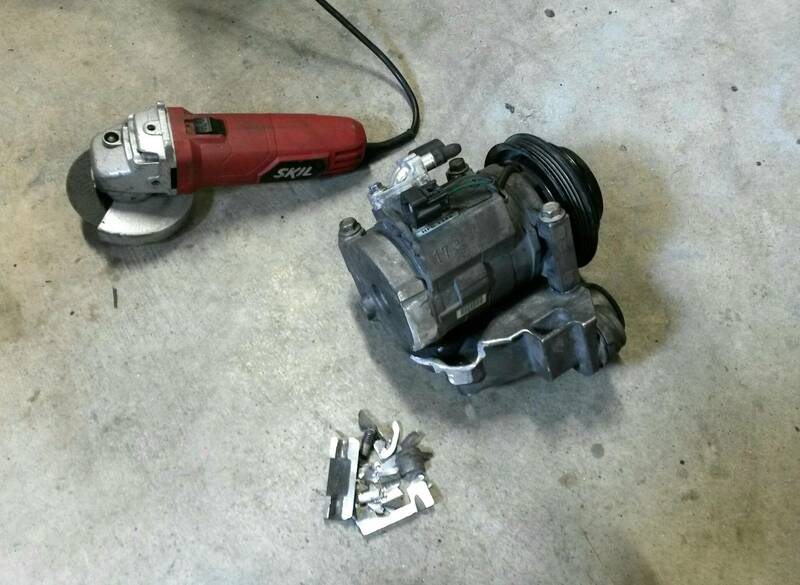 Removed a little from the boss area of the compressor near the oil fill/drain. Yep, already got that bracket notched while the motor was out of the car. The issue I'm having now is that with the engine in the car, the bottom left corner of the compressor bracket is hitting the engine mount itself. Last edited by TastyBacon; 04-07-2016 at 03:04 PM. I'm running the Pfadt engine mounts. Yes, I have hinson mounts on mine . Jim kept the stock mounts on his and just hot knifed it to get the clearance. Ben's pfadt mounts are so small in comparison, it's a non-issue with them. If mounts are in the budget, I would strongly suggest at least putting a set of hinson mounts in to help stabilize the engine. I'm not a fan of how much the engine moves with the stock rubbers. Hinson mounts could certainly be in the budget, but I hate NVH (one of the reasons I chose FI over H+C) and I don't drag race, so I'd like to stick with the my stock mounts if possible. I replaced them two years ago and they're in good shape. I'm a little afraid to cut into the steel on the top of the mount, because I'm not sure how deep I can go, but it's good to hear that it can be done. Maybe I'll give it a shot this weekend. Thanks for the tip on the wiring! 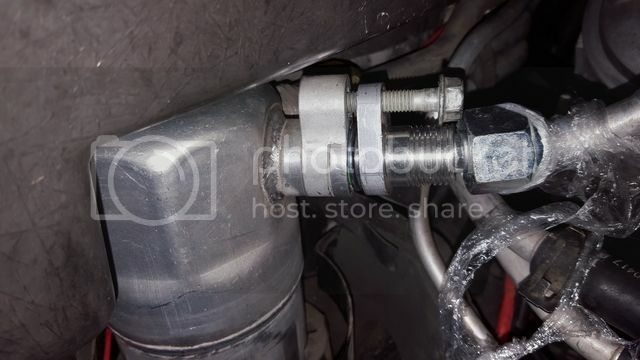 I don't have any pics, but I had to clearance the compressors lower rear bolt hole and that section of the bracket to make it work with the stock mounts. I took off a ton of material to make it work and the lower rear bolt didn't get used at all. Thanks! That's what I was figuring I would have to do as well. Still plenty secure with 3 bolts? Seems like it would be okay. Yeah no issues so far. Well, the deed is done. Jim wasn't exaggerating when he said a ton of material had to be removed. Once I started cutting and test-fitting, it was clear that my goal was going to be to remove all evidence of the 4th compressor mounting point, both from the bracket and the compressor. Now it fits great, and I can move on to getting the lines run and wrapping up the A/C system. Thanks for the help, everyone! Last edited by TastyBacon; 04-09-2016 at 06:57 PM. With Hinson mounts and an ls2 I didn't have to clearance anything. I also beveled the cradle for the bottom bolt heads. You'll only have to do one since you removed one of the bottom ones. I had a little trouble getting the bolt to go in straight if the top ones were installed to "hang" the assembly. Yours may be fine. I was able to mount the compressor without clearancing the cradle at all. It looks great; there's a ton of room around there now! I got my high side line figured out, the only thing I have left to figure out is how to attach the low side line to the "peanut" shaped flange on the receiver/dryer. I was hoping I could do it all with off-the-shelf parts, but unless I can find an adapter from the peanut flange to a standard #10 threaded fitting, I might just end up cutting the flange off the OEM line and paying someone to TIG a beadlock hose end onto it. There are adaptors available. I'll take a picture of the one I'm using when I get to the house. Hmm, that looks like it would work. 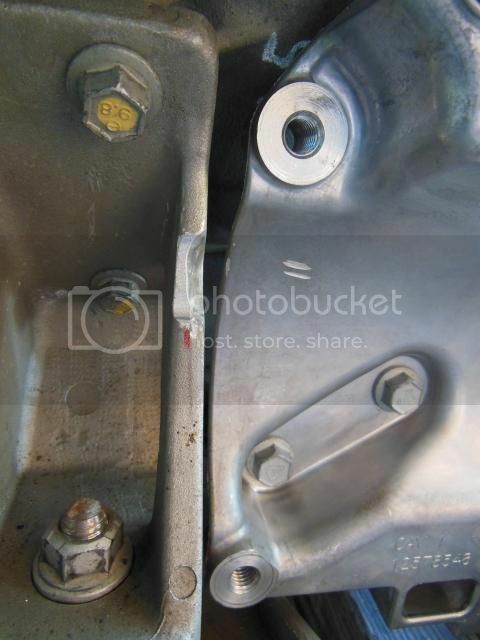 Are you using a washer on the bolt to take up that gap, or is it just not seated all the way? 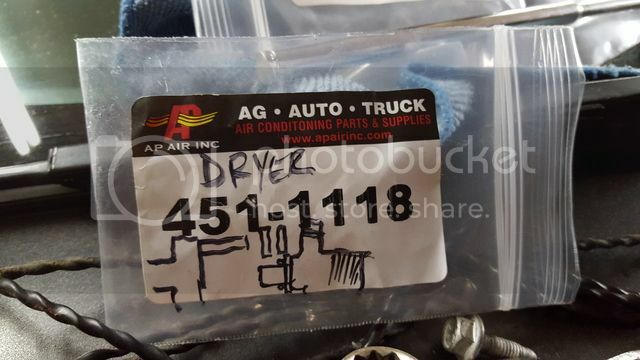 There's a washer and an o-ring. The assembly hasn't been tightened yet. I'm waiting on a new accumulator. LSA - CTS V AC Compressor and Mounting Bracket new. 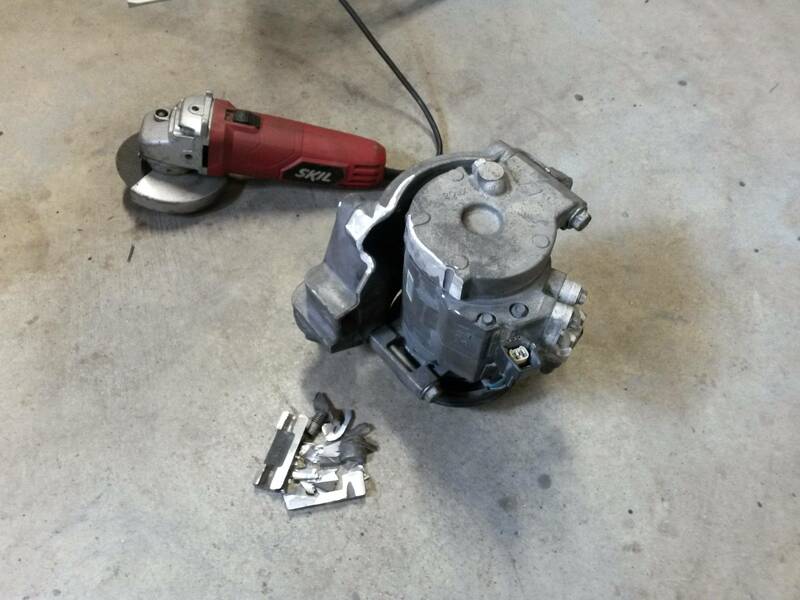 I have a new ac compressor and the mounting bracket for an LSA motor. It wouldn’t clear on my chevelle project so I had to buy a completely different front runner kit. The bracket has been clearanced to try to work but it didn’t. I think the kit was 345 plus shipping. Selling this kit for 250.00 with the belt. Email [email protected] for anymore info. Turbo-Geist how did that AP Air fitting end up working for you? Got a pic of it tightened down? 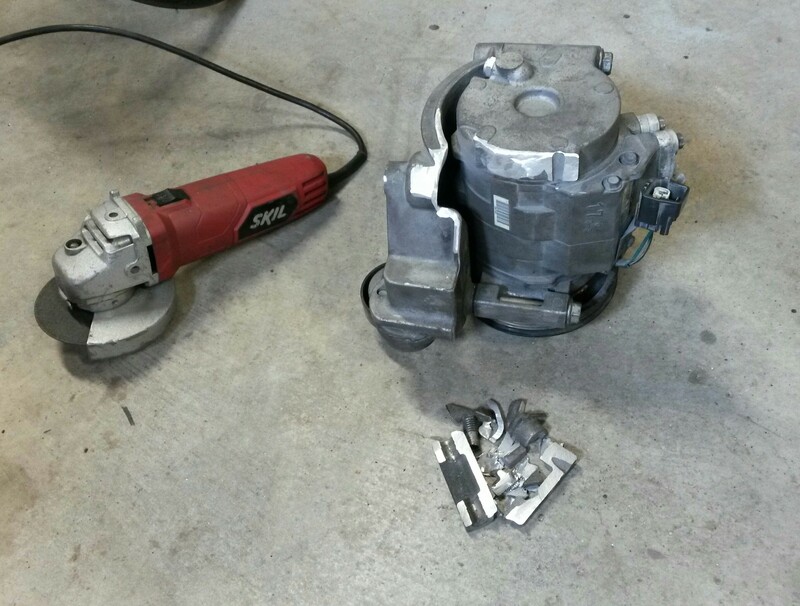 Quick Reply: CTS-V A/C compressor swap--aftermarket engine mounts required?